Los Angeles Has to Offer Guaranteed! Our family owned Los Angeles Carpet Cleaning Company prides itself on integrity, transparency and our passionate commitment to excellent customer service. We strongly believe that to be successful you must trust us and you must like us. We deliver nothing less than 5 star service, that’s why All Points Carpet Care is one of the top rated and most recommended companies for Tile Cleaning, Upholstery Cleaning and Carpet Cleaning Services Los Angeles has to offer. We specialize in the jobs our competitors run away from. 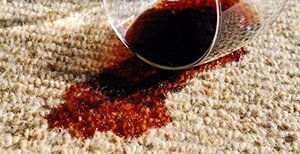 Tough stains, light colored carpets, smartstrand, and pet odors are no match for our 20+ years of experience. We use premium cleaners that are completely soap free, odor free, non-toxic and green seal certified. That means they are the safest and most effective carpet cleaning products in Los Angeles, and on the planet. Our cleaners will not leave behind a soapy, sticky residue greatly reducing rapid re-soiling so your carpets stay cleaner longer. From the first phone call to the finish of your carpet cleaning service or any of our cleaning services, You will be served with a smile. All work is done by Courteous, educated and certified carpet cleaning technicians. Unlike other carpet cleaning services Los Angeles has that play the “deep cleaning at an additional cost game”, we give you an upfront firm quote and we never put you under pressure to buy anything that is not of benefit to you. Meet some of our very happy customers! Monica and Martin are simply the best! Recommended some folks to them who needed some cleaning services done and they were wonderful! Left my referral extremely pleased and best of all made me look GREAT!!! I have worked with All Points for about two years now. I could not be happier with their services! They are polite, prompt, and fairly priced. The greatest quality about All Points is their attitude. Amazing customer service comes naturally to Martin and Monica. Any time you have a need for carpet cleaning, I highly recommend you give All Points a call. Awesome team! As a mother with two young children it is vital to keep our carpets and home clean. They came after and episode of the flu that hit our home and gave me total peace of mind knowing the germs were gone. Thank you to this amazing team! I am very happy with the quality of work done by All Points Carpet Care. They took care of the dirt and nasty stains in the carpet. Very professional and trustworthy (I had a lot of expensive stuff lying around in the house while carpet cleaning was being done). Highly Recommended!